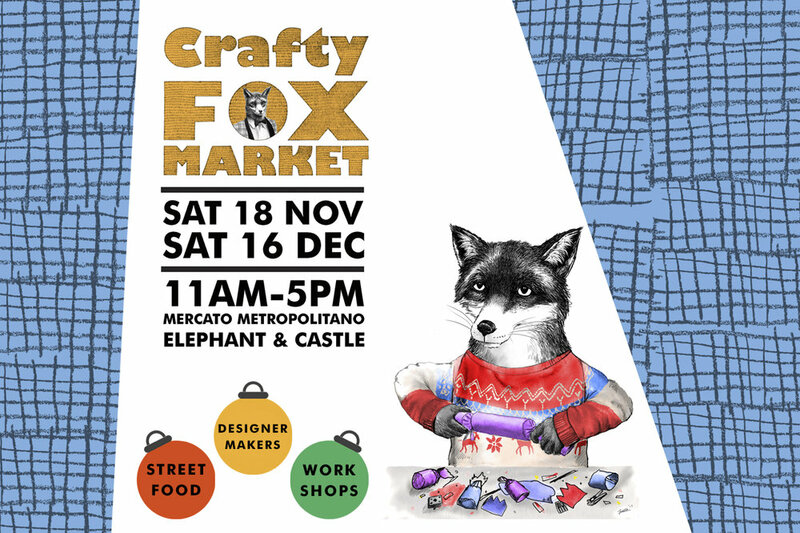 In the run up to Christmas, Crafty Fox Market will be holding two special Saturday markets at Mercato Metropolitano (18 Nov & 16 Dec) creating an ideal shopping experience for both foodies and those searching for the perfect gift. 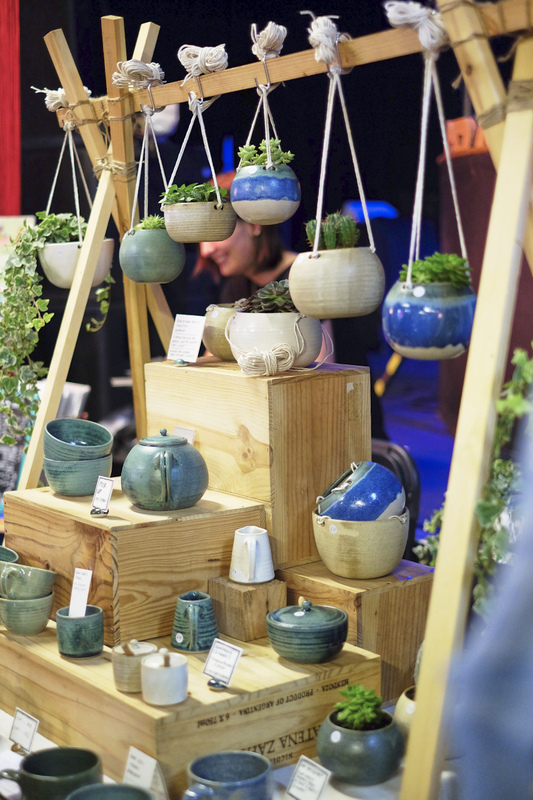 As well as a selection of talented makers selling fabulous gifts for the whole family there will be workshops, portrait drawing, DJs, drinks and delicious snacks. Here's a sneaky preview of all that awaits you! Nick Sellek makes cards with designs developed from a love of unusual spaces and stuctures with a utilitarian angle. Sally works with lambswool making toys, cushions and baby blankets, machine knitting with her own patterns. 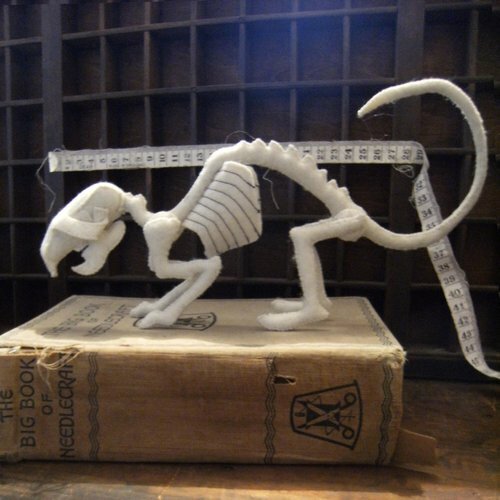 Beth Hart makes unique creations inspired by contradiction, taxidermy, surrealism, found objects (particularly roadkill), contrast, natural oddities and tourist’s trinkets. Sparrow + Wolf is a Birmingham based home furnishing and stationery studio run by Cherie Gregory. Clement & Claude candles are made from 100% soy wax, individually hand-poured and finished at their workshop in South West London. Oh Squirrel creates a range of pretty party supplies, stationery and gifts inspired by vintage photographs, typography, botanical imagery and retro fabrics. Join designer/makers Adamina Turek and Adrian Austin to learn how to carve a wooden spoon. You will learn which tools to use and how to handle the knives in a safe and effective way. Then choose from a variety of seasoned wood blanks (a pre-prepared piece of wood) in English Ash, English Apple, Polish Cherry to transform into a spoon to take home! All tools and materials are supplied. Adamina and Adrian can advise you on which simple tools to buy to carry on with this beautiful craft. Adamina and Adrian are the founders of 2 Hungry Bakers, a food inspired ceramics and woodcraft design studio. They use a mixture of traditional and modern techniques to create a range of everyday tableware. All work is produced by hand in their micro-workshop in North London where they aim to create objects that are both beautiful and functional. Please click HERE to book your space. 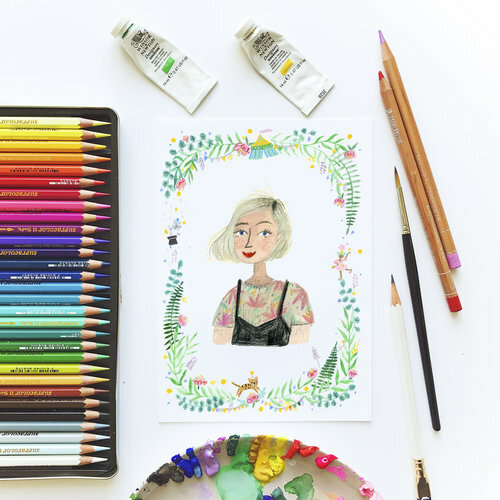 Viktorija's portraits capture people so beautifully, pop by her stand to get one of your own! You can have your portrait painted in 10-15 minutes and will receive A5 ink and watercolour original artwork. Worth wearing your favourite outfit for!